How to connect this to the story: When Becca and some of her friends work on the race during Sunday school, Thomas, Gordon and Ellena are reading the story of the Good Samaritan. In the Biblical story the characters do not help a man who has been beaten and robbed. 1. Why do you think people don’t want to help someone who is hurt? 2. The man who helps is not who you would expect to help. Why do you think he helped? 3. Have you helped people you didn’t know? Have you ever seen someone that you weren’t comfortable helping? What made you act the way you did? 4. Has a stranger ever helped you? 5. Name some of the examples in the book Mosquito Madness where you were maybe surprised by the fact that they helped others. 6. Why does Jesus ask who is the man’s neighbor? In Mosquito Madness Reverend Hillis preaches a sermon based on the scripture Matthew 25. This scripture advises that when we help those who need our help, it is like we are helping Jesus. We are to help others as if they were Jesus. 1. What does your church do to help others? 2. Do you know people who feel like Ellena’s grandfather that the church should just help the people in your community? Why might they feel that way? 3. How can you help those who are thirsty? Those who are hungry? Those who are in prison? What if you don’t have money to help them? 4. Can you give example how people helped others in the book? 5. Becca sometimes is overwhelmed by all the steps to running the race. She has people like her friends and her grandmother and other adults, but still feels overwhelmed. How can people avoid that feeling? In the book Becca is motivated to organize and run the race because her aunt is affected directly by the malaria in the area she’s working. Other people don’t have that same connection, but she’s able to persuade them to be a part of it. 1. Is there something that you would like to help solve? Ideas might be hunger, poverty, ecological problems, helping veterans, helping seniors, helping children. What problems do you see that needs to be improved? 2. Many churches already do a lot of service projects within the church, their community and the world. How might you get involved? 3. Becca wanted to be in charge of the project. Other people helped the best way they could? Do you want to be the leader or would you rather be a helper? What skills do leaders need? What are ways you would be a good helper? How would you get others involved? 4. Can you think of ways that people your age can help improve the world like Becca did? Can you think of young people in real life who have made a difference? 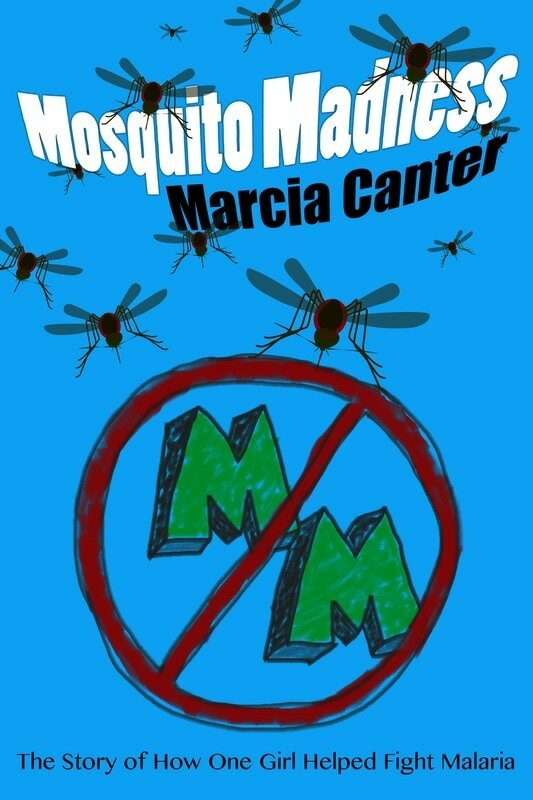 ​More questions for teachers/students in a school setting are in the back of Mosquito Madness.